Is PRP The Solution To Hair loss? PRP- platelet rich plasma treatment is a new and extensively adopted option today. One of the uses of this treatment is to fight hair loss and other hair concerns. Why PRP? What are the results? Male pattern baldness and hair fall among women cause a lot of concern. PRP treatment is used in hair restoration treatments to eliminate hair loss, balding, thinning and promotes natural hair growth. During this treatment, a small amount of blood is taken from the individual and using a centrifuge, the platelets are separated from the RBCs. This separated content of concentrated platelets is injected into the scalp. Platelets contain active growth factors which stimulate hair growth and give results over a short timeframe. Compared to many other treatment methods available in clinics, this is a non-surgical treatment which provides long-term, natural-looking results. 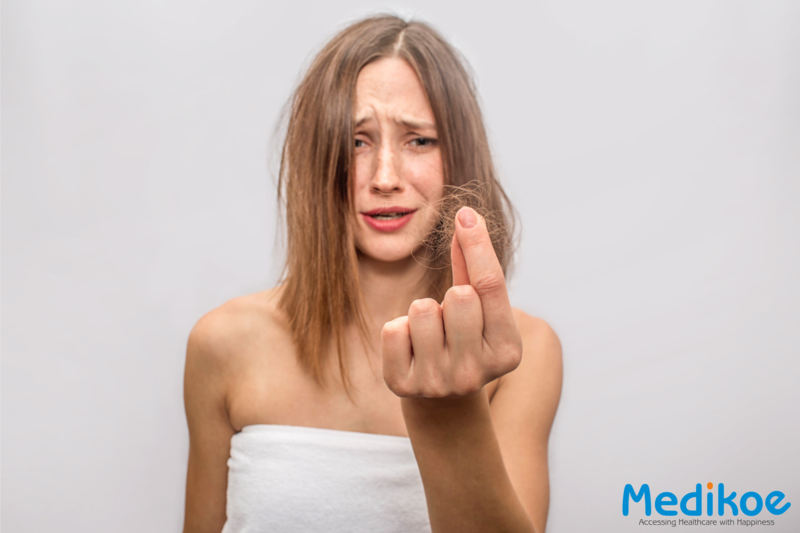 Consult a doctor near you on Medikoe and find out how you can prevent hair fall. Although there is no clinical proof of its abilities, the results are very promising. The results, however, depend on the body’s response to the treatment and to see desired results, a person might require a couple of sittings. This procedure is being adopted by many and they have seen significant improvement.